As a recovering people-pleaser, I struggle to release my desire for acceptance and esteem from others even as I realize the only One I should strive to please is God Himself. When we decided to move across the country, leaving family, friends, ministry and community behind, some people thought we were crazy. Why would sell our home and move to a place we knew so very little about? Frankly, I didn’t know how to respond to their disapproving queries. I wondered if we were making the biggest mistake of our lives. Eventually, however, I saw God’s hand opening doors both small and large as we progressed in our plans to drop our nets and follow Him. The more we trusted and obeyed Him, the more easily I was able to lovingly detach myself from others’ expectations and criticisms. With practice, I’ve found that the previously endless cycle of ‘what ifs’—what if I say or do this, and it makes him or her respond like that?—doesn’t plague me nearly as much now as I seek to align my words and actions with the desires of my Heavenly Father. As Saint Paul explains to the Galatians, when we’re busy focusing all our time and energy on pleasing those around us, how will we have anything left with which to please our God? And isn’t pleasing Him what matters most? Is there some way God wants you to serve Him yet you’ve been reluctant because of what others may think? Do you trust Him enough to potentially put others’ approval aside in favor of His? Sit with your Heavenly Father for a moment today, dear sister. Breathe in His peace and listen with the ears of your heart to how He is leading you. Ask the Holy Spirit for the wisdom and courage to hear and obey His will. 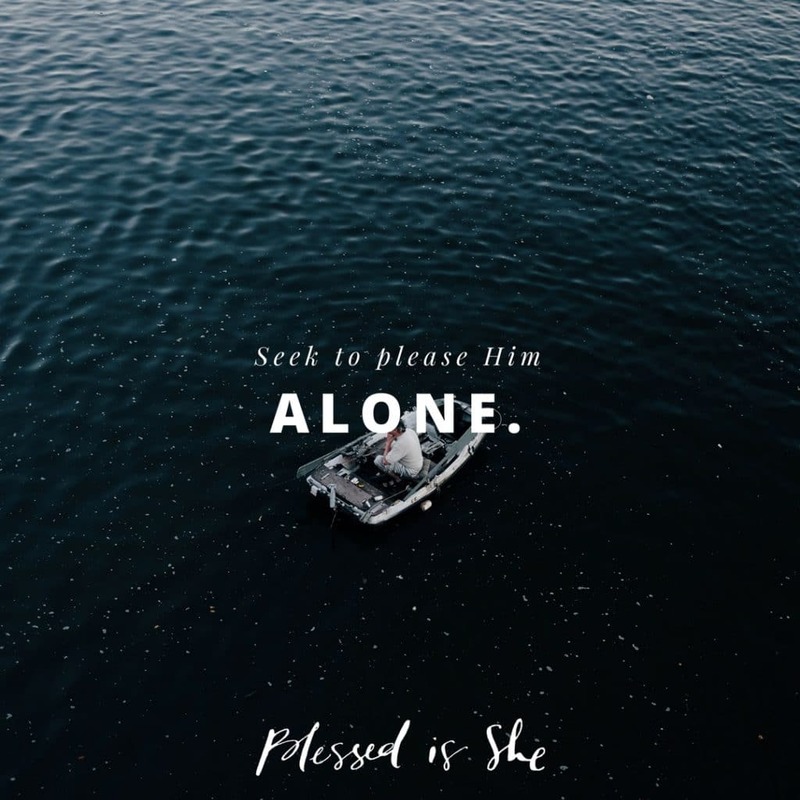 Seek to please Him alone. Heather Renshaw is a writer, speaker, and uplifter on a mission to love and serve God with her husband and five children in the Pacific NW. You can learn more about her here.